The involvement of companies and employers organisations in apprenticeship schemes is seen as an effective way of identifying and meeting skills needs on the labour markets. The main reason employers in some countries may be reluctant to engage is the high costs derived from training activities, such as deriving from adaptation of work stations, possible mistakes by apprentices, administrative paperwork, time of company trainers and employees monitoring apprentices. This project aims to explore the business case for apprenticeships by focusing on the cost-effectiveness of apprenticeship systems in specific occupations in the ICT, commerce and engineering sectors in 15 target countries. 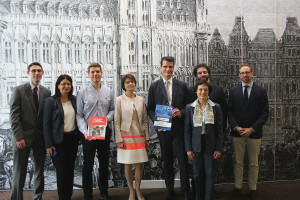 The project is led by BusinessEurope and is a collaborative piece of work between the EU cross-industry employers’ organisations (BusinessEurope, CEEP, SMEunited (formerly called UEAPME); European Roundtable of Industrialists, EUROCOMMERCE, CEEMET, DIGITALEUROPE; organisations representing vocational education and training (VET) providers at European level – EUproVET and EFVET. Promote greater understanding of the dynamics of cooperation between enterprises, employers’ organisations, commerce and craft chambers and VET providers in different countries for a well-functioning apprenticeship system. For each of the 15 target countries a report will be compiled on the cost-effectiveness of apprenticeship schemes in the selected sectors and occupations. This will include an action plan for possible ways to strengthen employer engagement in apprenticeship schemes, taking into account national and sectoral specificities. The outcome of this project will feed into possible future activities of the EU social partners on apprenticeships. Conference on the Implementation of the "Inclusive Labour Markets Agreement"